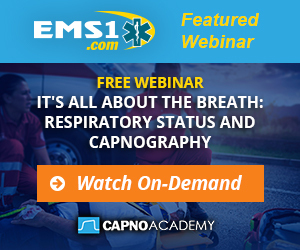 Capnography is an important tool for any EMS clinician’s toolbox. Capnography is helping to improve patient outcomes in a variety of settings. We want to hear from the people that use it every day. Just one example is Kalob’s story. We’re looking for stories of how you’re using capnography in the field. Tell us your story of a patient in respiratory failure or cardiac arrest and how you assessed and managed the patient.